Researchers working in chemical synthesis are under increasing pressure to discover and develop innovative pathways and robust chemical processes as quickly as possible. Inline Process Analytical Technologies (PAT) are capable of providing important clues that enable researchers to understanding the kinetics, pathway, and mechanisms of chemical reactions. Armed with increased reaction understanding, scientists are able to quickly optimize and scale up processes with increased robustness and performance. View the chemical synthesis applications library for recent publications and industry applications. Researchers applied in situ reaction monitoring to understand the activity and robustness of new hydroformylation/hydrogenation catalyst components. By measuring kinetics, pathway and reaction mechanisms, optimal conditions for catalyst performance were identified. Suitable for a wide range of chemistries, in situ Fourier Transform Infrared (FTIR) spectroscopy provides real-time monitoring of key reaction species. Designed to follow reaction progression, ReactIR provides specific information about reaction initiation, conversion, intermediates and endpoint even under challenging conditions that make offline sample and analysis difficult, such as reactions under pressure or extreme temperatures. Applications include Catalyst Optimization, Hydrogenation, Polymerization, and Highly Reactive Chemistry. Researchers in chemical synthesis often apply Design of Experiments (DoE) to maximum information when planning controlled experimentation. 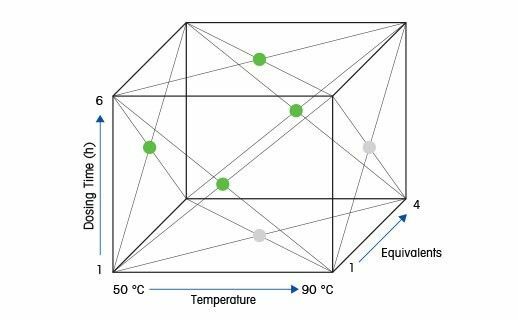 Product composition, stereo-specificity, yield, and impurities are optimized by changing reaction conditions such as temperature, solvent, catalyst, and concentrations of substrate or reagent. Efficient investigation of the influencing factors with only a small number of experiments requires experiments to be conducted under well-controlled, accurate and reproducible conditions. All of this preferably takes places automated or semi-automated at small scale and can quickly lead to optimized reaction conditions. Small volume chemical synthesis workstations allow chemists to quickly and efficiently carry out experiments day and night with control over temperature, mixing, dosing and pH. Combining automated lab reactors with unattended, representative sampling or in situ analytical tools provides an additional level of process development understanding from particle size to the molecular level of reaction route, kinetics and reaction progression. These chemical synthesis workstations are easy-to-use, highly repeatable and interconnected through software control and data sharing. 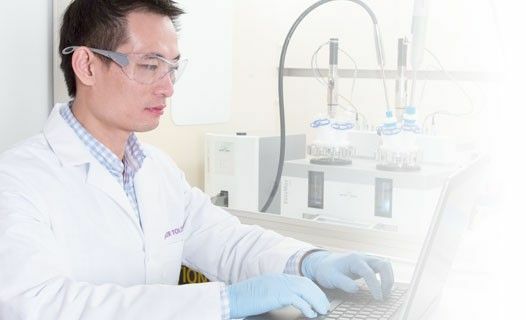 Discover how researchers apply effective methods to develop new synthetic pathways and optimize critical process conditions. 4 case studies highlight how leading pharmaceutical companies expand chemical synthesis lab performance. Highly reactive chemistries have potentially hazardous reactants, intermediates and products and often involve highly exothermic reactions. Ensuring safe operating conditions, minimizing human exposure, and gaining the maximum amount of information from each experiment are key factors in successfully designing and scaling-up highly reactive chemistries. In situ reaction monitoring is critical since highly reactive materials are often unstable which limits offline sampling. Examples include chemical synthesis of Grignard reagents. Isocyanates are critical building blocks for high performance polyurethane-based polymers that make up coatings, foams, adhesives, elastomers, and insulation. Concerns over exposure to residual isocyanates led to new limits for residual isocyanates in new products. Traditional analytical methods for measuring the residual isocyanate (NCO) concentration using offline sampling and analysis raise concerns. In situ monitoring with process analytical technology addresses these challenges and enables manufacturers and formulators to ensure that product quality specifications, personnel safety, and environmental regulations are met. Measuring and understanding polymerization reactions, mechanisms, kinetics, reactivity ratios, and activation energies lead researchers to employ in situ infrared spectroscopy as a routine technique to gain comprehensive, information-rich data that is used to advance research in a shorter time frame. Knowledge of impurity kinetics and mechanism of formation is important in determining reaction end-point in chemical and process development studies. Accurate, reproducible, and representative reactions samples are necessary for these studies. 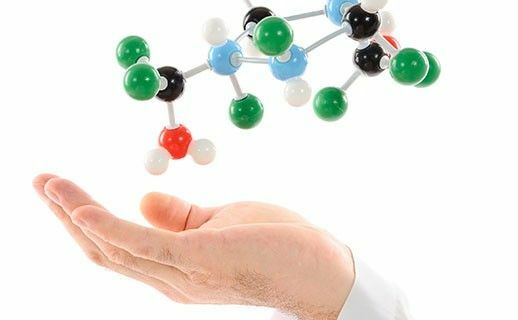 In situ chemical reaction kinetics studies provide an improved understanding of reaction mechanism and pathway by providing concentration dependences of reacting components in real-time. Continuous data over the course of a reaction allows for the calculation of rate laws with fewer experiments due to the comprehensive nature of the data. Reaction Progression Kinetics Analysis (RPKA) uses in situ data under synthetically relevant concentrations and captures information throughout the whole experiment ensuring that the complete reaction behavior can be accurately described. Continuous flow chemistry opens options with exothermic synthetic steps that are not possible in batch reactors, and new developments in flow reactor design provide alternatives for reactions that are mixing limited in batch reactors. This can often result in better product quality and higher yield. 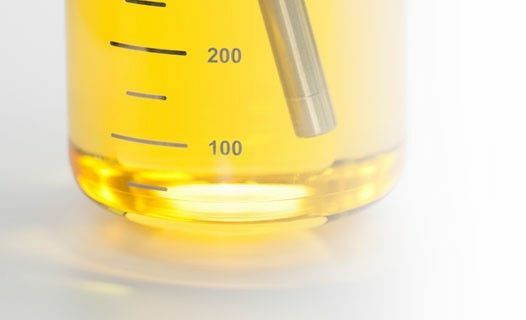 When coupled with Process Analytical Technology (PAT), flow chemistry allows for rapid analysis, optimization, and scale-up of a chemical reaction. Exothermic chemical reactions pose inherent risks, especially during scale-up. Risks include safety hazards, such as excessive pressure, contents discharge, or explosion, as well as product yield and purity degradation associated with any sharp temperature rise. For example, inadequate control of Grignard reactions introduces safety concerns associated with the accumulation of the organic halide which, if undetected, can result in a catastrophic event leading to a runaway reaction. Studying hydrogenation reactions requires informed decisions to optimize the process in the laboratory and ensure it is repeatable on scale up. Continuous, real-time reaction measurements are applied to gain deep, fundamental process understanding. This is applied to make faster decisions to reduce the number of experiments and the time to scale-up the process; to increase selectivity/yield from almost instantaneous feedback on the direction of the reaction; to reduce cycle time and improve yield by determining the ideal endpoint by stopping a reaction at a specific time point and avoiding the risk of a byproduct formation. Highly reactive chemistry is a terminology used to describe chemical reactions that are particularly challenging to handle and develop due to the potentially hazardous and/or energetic nature of the reactants, intermediates and products that are present during synthesis. These chemistries often involve highly exothermic reactions which require specialized equipment or extreme operating conditions (such as low temperature) to ensure adequate control. Ensuring safe operating conditions, minimizing human exposure, and gaining the maximum amount of information from each experiment are key factors in successfully designing and scaling-up highly reactive chemistries. Many processes require reactions to be run under high pressure. Working under pressure is challenging and collecting samples for offline analysis is difficult and time consuming. A change in pressure could affect reaction rate, conversion and mechanism as well as other process parameters plus sensitivity to oxygen, water, and associated safety issues are common problems. Hydroformylation, or oxo synthesis/process, is important for the production of olefins to aldehydes and aldehydes from alkenes. Hydroformylation reactions are performed at high pressure and can be challenging to sample due to the extreme reaction conditions, as well as the toxic, flammable, and reactive raw materials and reagents. Catalysts create an alternative path to increase the speed and outcome of a reaction, so a thorough understanding of the reaction kinetics is important. Not only does that provide information about the rate of the reaction, but also provides insight into the mechanism of the reaction. There are two types of catalytic reactions: heterogeneous and homogeneous. Heterogeneous is when the catalyst and reactant exist in two different phases. Homogeneous is when the catalyst and the reactant are in the same phase..
One of the four major classes of chemical reactions, synthesis reactions are represented by many important examples in organic synthesis, catalyzed chemistry, polymerizations and inorganic/organometallic chemistry. In the simplest case, a synthesis reaction occurs when two molecules combine to form a third, more complex product molecule. In most cases, synthesis reactions are more complex and often require a thorough understanding of the kinetics and mechanism of the underlying chemistry as well as carefully controlled reaction conditions. 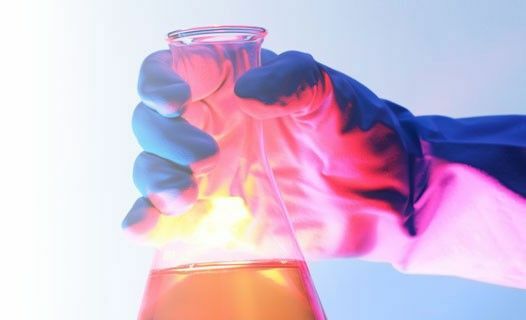 Design of Experiments (DoE) requires experiments to be conducted under well-controlled and reproducible conditions in chemical process optimization. Chemical synthesis reactors are designed to perform DoE investigations ensuring high quality data. This white paper reviews recent advances in organic chemistry using chemical reaction monitoring. The white paper - Rapid Analysis of Continuous Reaction Optimization Experiments - discusses how to optimize chemical reactions.